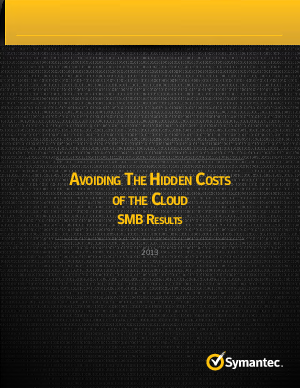 Symantec commissioned ReRez Research to conduct the 2013 Avoiding the Hidden Costs of Cloud Survey in September and October of 2012. They contacted business and IT executives at 3,236 organizations in 29 countries. Respondents came from companies with a range of 5 to more than 5,000 employees. Of the responses, 1,358 came from SMBs and 1,878 came from Enterprises. This report specifically focuses on the 1,358 SMBs.